Sephora had recently put two NARS duos on sale for $10 each as a part of their weekly specials. I managed to combine that with the last day of the F&F sale (as well as Ebates!) and got a great deal on them. Now, these aren't exactly colors I would have normally picked for myself (to be honest, they'd be at the bottom of my NARS duos-to-buy list) but I'm actually quite pleased with how much I like 'em. Pictures taken indoors, under light box, with flash. Cheyenne has a marmalade orange side and a shimmery burgundy. Wicked has a shimmery pale yellowish shade as well as a light key lime green side. Despite being colors that are somewhat out of my comfort zone, they're very nice shadows. 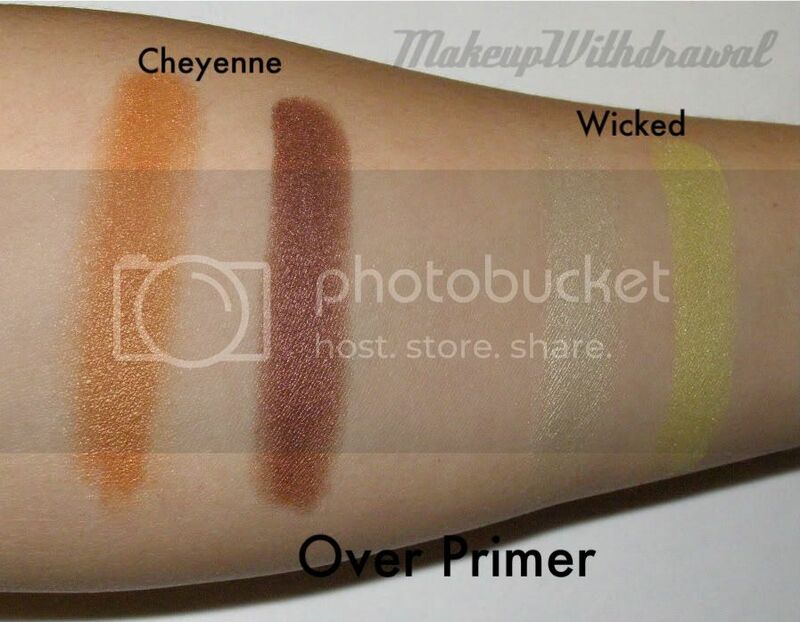 They're well pigmented and easy to work with, though Wicked's shades looked better to me as sheer washes rather than as heavy built up color but that's just my opinion. I really can't wait to start incorporating these into my EOTDs. If you hurry, you can still get either of these duos for $10 at Sephora.com still! 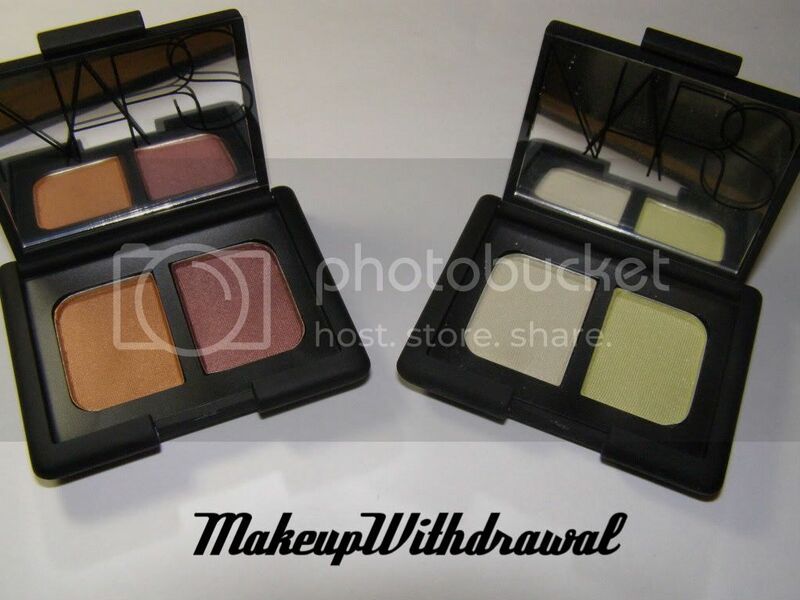 What do you think of these NARS duos? Like the colors? Or prefer other NARS shades?